In 2013, Adobe conducted a survey entitled “State of Creativity in Education: An Adobe Survey” with over a thousand educators representing thirteen countries in the Asia Pacific area. The infographic below includes some of the data from that survey. I am sure these responses would hold true for any area of the world. The statistic that struck my eye was that 85% of the respondents felt that technology and digital tools play an important role in this process. 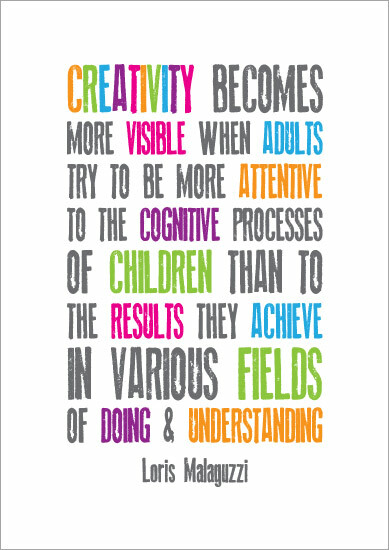 How do you begin to foster creativity in your students? One way is to help students “think outside the box”. This kind of thinking is called divergent thinking. In his Edutopia article, entitled “Fuel Creativity with Divergent Thinking“, Stacey Goodman, a high school art teacher, defines divergent thinking as “referring to the way the mind generates ideas beyond proscribed expectations and rote thinking”. Instead of giving the students a problem to solve (when using the problem based learning approach), have them create the problem questions based on their own knowledge and passions. Have students take turns being the guest DJ and play their favorite music in class while other students are working. His expectation is the rest of the students in the class should defer judgement on the music choice, which opens up the learning environment for the inclusion of other influences and ideas. Since the students soon realize they are not immediately judged, it opens them up to offering alternative thoughts and ideas in class. Stacey has students hold back on expressing their likes and dislikes for two minutes, and then ask probing questions as opposed to just saying “I don’t agree” or “I don’t like that”. Again, this method creates a safe environment for students to express their opinions. There are exercises in Goodman’s class which encourage students to play and experiment. Then they are encouraged to reflect and try again. He tries to help them learn not to be afraid to fail. Kristen Hicks, in an article in Edudemic entitled “Why Creativity in the Classroom Matters More Than Ever“, provides five ways to bring creativity into the classroom. Allow students the freedom to create their assessments using a a tool of their choice, whether it be a comic strip, a video, a podcast, or a world in Minecraft. Provide “genius” time during the day when students can work individually or collaborate to build, code, create, produce, or simply investigate a topic they want to learn more about. Try to use technology across the content areas, in ways it might not have been before. She suggests using Google Maps alongside a novel as one idea. Think about the use of common sites and social channels in new ways. Have students create a TED-like talk about a chapter in their textbook, have them draw an XKCD-like comic, or have them create a Facebook page for an historical figure or character in a book or movie. Hicks suggests that use of the Socratic seminar method can lead to the same results as Goodman’s do above– critical listening, good questioning, and respecting the opinions of others — and enhance the offering of creative ideas and thoughts by students. Prasanna Bhardi also suggests additional ways, in an article entitled “How to Promote Creativity in Your Classroom“, to cultivate creativity in the classroom. Bhardi utilizes content that cause students to become emotional and content she knows they are passionate about. She reiterates, as Goodman and Hicks note, the classroom environment plays a crucial role in cultivating creativity and confidence in students. Bhardi suggests trying different models that tie together real-life, novel issues, and to spread the learning to home, too. As also outlined by Hicks, Bhardi recommends the inclusion of collaborative activities and think-tank sessions to encourage active engagement. 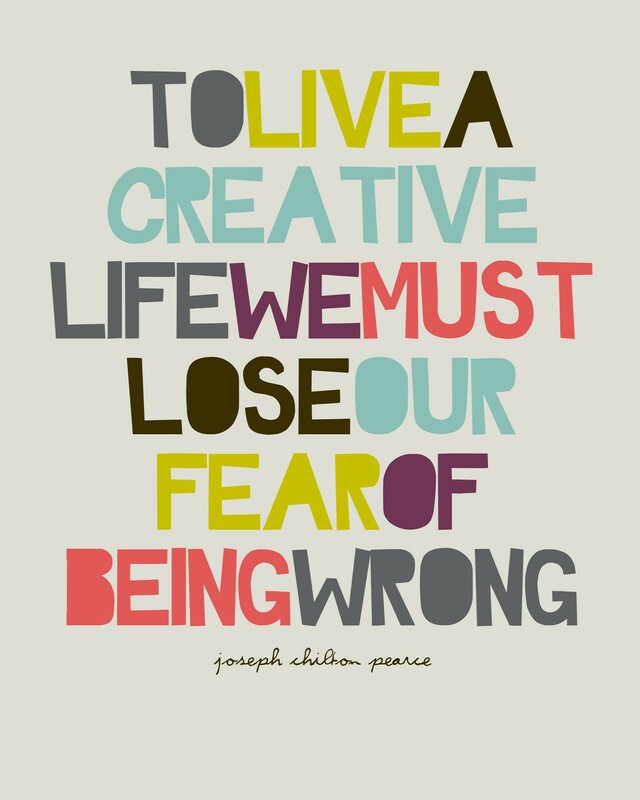 There are tons of great quotes about creativity you can find to put up in the classroom and share with students. You can have students use the quotes to create original posters like the ones below. The Discovery Education collections include materials for fostering creativity in your classroom. Many of the assets are professional development resources for you which include tips, tricks, and resources. Video (5:01): Creativity, Decision Making, and Problem Solving: this video segment explains to high schoolers how to balance the “out of the box” creative ideas with those that are not practical. The areas of brainstorming, reframing the problem, gathering of the information, evaluating the information, and considering the innovation and risk inherent in creativity are covered. Video (5:09): Innovative Learning Environments: this video segment provides new and innovative ways to foster creative learning environments in your classroom. This segment is part of a longer webinar (47:43) on cultivating student creativity. Video (4:37): Teaching to Inspire Creativity: This vide0 segment, from the same webinar as the video above, describes the core habits and goals that educators can develop to help them create an innovative learning environment for students. Song (2:18): Today’s Children, Tomorrow’s Future: Creativity: This song, with included lyrics, encourages grade K-5 students to express themselves and their own ideas. There are also a slew of blog articles on the Discovery Education site that include issues around fostering creativity as an educational goal. What methods do you find successful in fostering creativity in your classroom? Looking at Goodman’s, Hicks’, and Bhardi’s suggestions above, what tools and apps would you use to implement some of their ideas? These are great ideas. I teach Physics to a Title 1 High School in Georgia and the longer I teach it, the more I realize student learning is tied to their “investment” in the class. If students feel as though it is the Teacher vs. the Student (e.g. tests being the contest), then they are less successful than students who feel like the teacher and students are working together on the same team. The more integrated into a classroom with technology a student feels, the better they seem to do in my class.